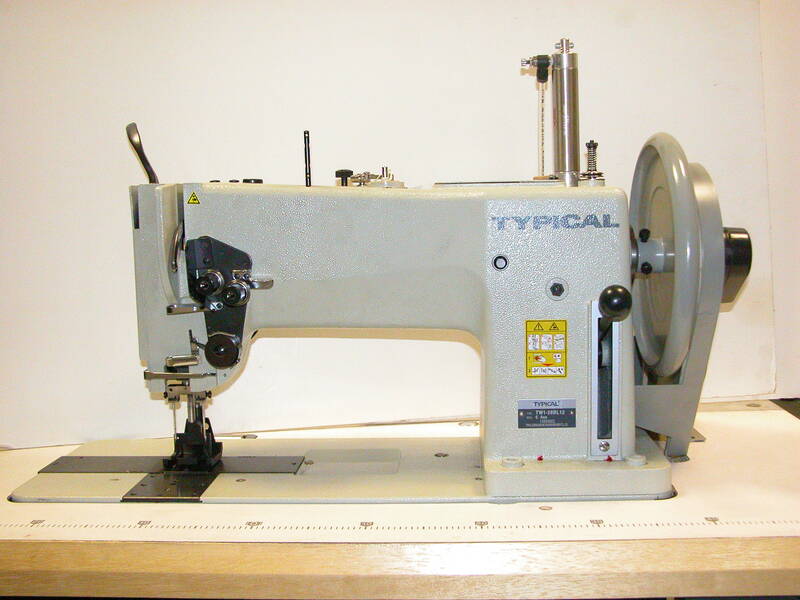 Single and double needle machines, available in 20", 30" and 36" arm lengths. 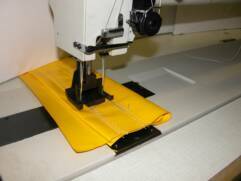 Ideal for tarps, tents, sails, covers and other large items. 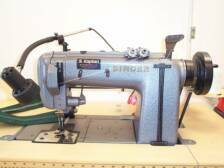 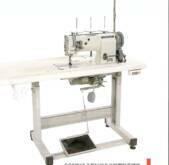 Models include Consew 745R, Juki LG-158, Singer 144W, 145W and 300W Long Arm. 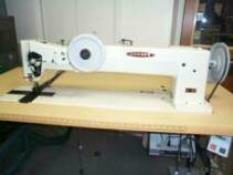 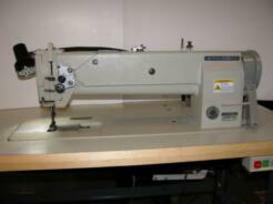 Extra heavy duty three needle, 40" arm chainstitch machine, with built in puller. 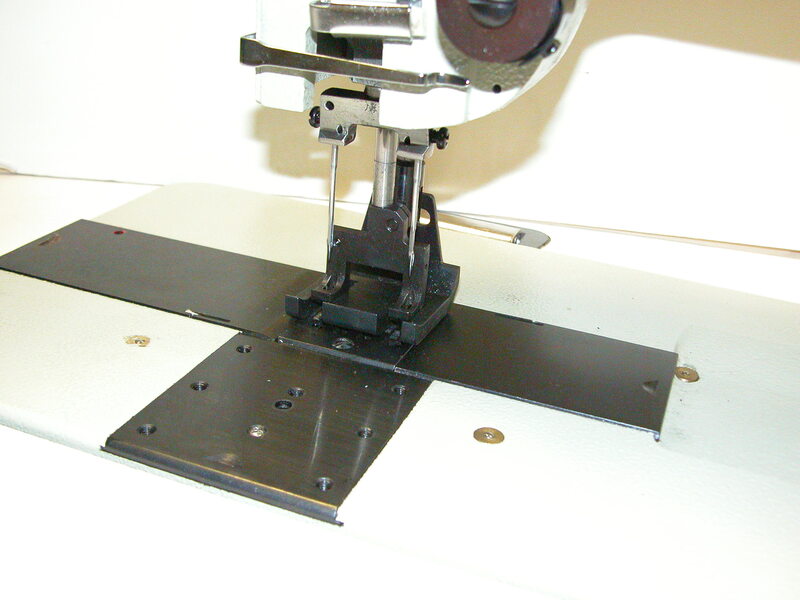 Set up on rolling steel stand, for easy movement around the plant. 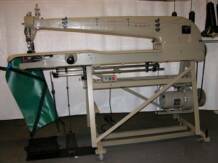 Heavy duty machine with powerful synchronized puller for single lap and double lap joining if awnings, tarps and other panel assemblies. 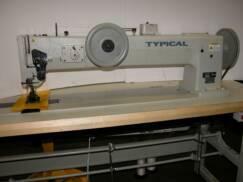 Available in two or three needle gauges, with or without attachments. 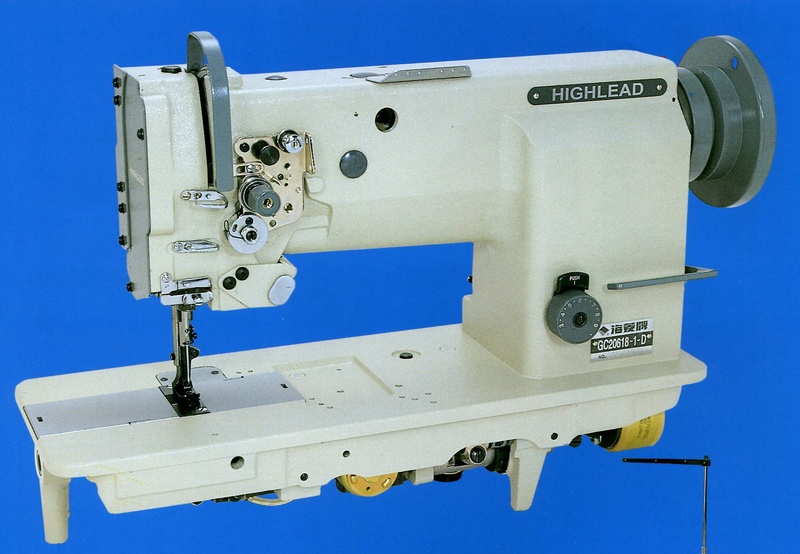 Seam specification Type 401. 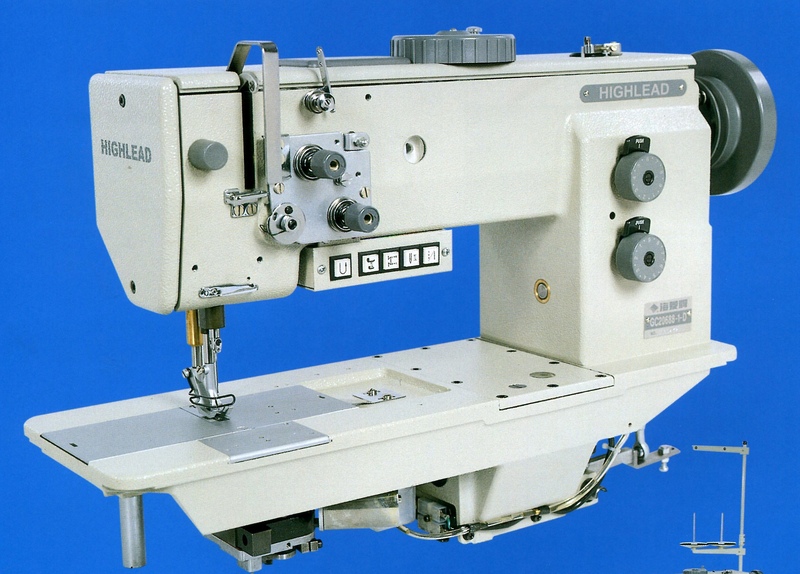 TW28-BL12 is a walking foot machine, single or double needle, extra large vertical axis, large bobbin sewing hook (style 58 bobbin), equipped with reverse feed. 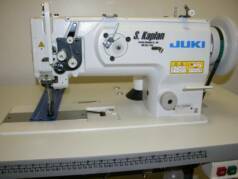 It is the perfect machine for tents, tarps, truck covers, divider curtains, fabric structures, etc. 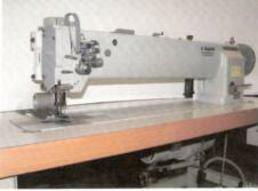 Machine has a presser foot lift of 20mm, needle system 7X3 and it is equipped with safety clutch to prevent hook damage. 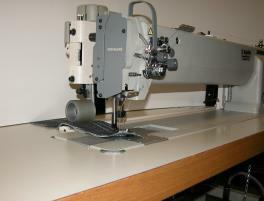 TW28-BL12 is available in sizes up to 1 3/4" needle spacing.